Our training is based on real world applications and not sport. We don't use streamers, empty soda bottles, or other props to train and condition our dogs and puppies. And, this isn't a BEAT'EM UP to get them to work venue! Knowledge, Skill, Wisdom, and Experience is how we train. See it for yourself! Many folks have outlets or clubs that reflect their interests. These can be baseball, football, or soccer teams, horseback riding groups, hunting or fishing clubs, or one of the many motorcycle clubs. For the working dog owner and specifically German Shepherd folks, there isn't much out there that allows you to tap into the genetics of your pet. The Delmarva German Shepherd Dog Club was founded on members who have sport Schutzhund, herding, and working dog experiences. Our club has evolved over the years to reflect many factors, needs, and current requests, like adding more AKC title events. 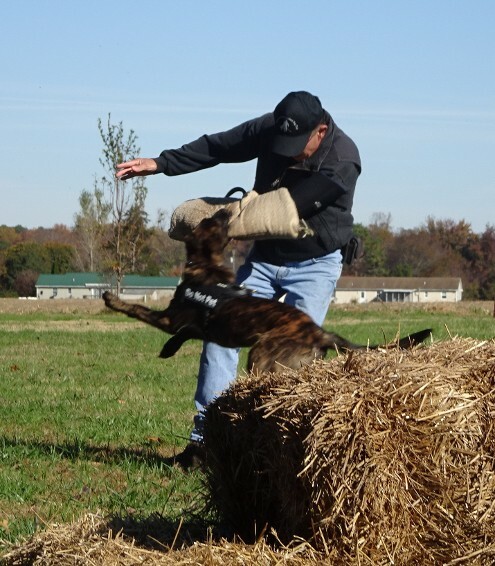 The core foundation of our group came from several passionate German Shepherd owners, trainers, and breeders who enjoy training with working lines animals. We understand it's hard to find clubs that offer safe and reliable training. Most folks who contact us have no interest in working towards sport dog titles like Schutzhund/IPO or some of the other venues. They want a well developed pet, a member for the family that can function at different levels. Our club goals are simple: help the owners understand the genetic drives of their pet, use non-patterned training techniques and scenarios which offer a real world needs and applications, and increase the handler's knowledge and skills for the dog they're using. Because CANNED can't work and inexperience can be costly ! Anyone who tells you that "ONE SIZE FITS ALL" with dog training is blowing smoke. Canned can't work! Not all dogs and handlers have the skills or abilities, some folks need a safe place to begin. We try and bring out the BEST in your pet. Our training works with an understanding of the individual's differences and interests. We attempt to create a club setting that is fun, safe, and worthwhile as a training outlet. The DGSDC trainers take your pet from the foundation level using on leash obedience and marker training. Next, we dovetail those skills into the protection venue. STEP BY STEP TRAINING! When you explore some groups or clubs, you have few choices with their training. You're either locked into a stylized mode of training or you'll use methods which don't seem practical in the real world. Even worse are those training venues that have no real background in working dogs, some rely on videos and DVDs for their instruction or knowledge. So, who would you want to take your working dog there? Some of our members have OVER 50 years of dog training experience...quality experience and knowledge speak volumes. Thanks for visiting with us so far. If you can schedule a time to visit with us, have your questions ready. Our members are family friendly and our dogs range from social to "please don't touch." Enjoy the rest of the website! 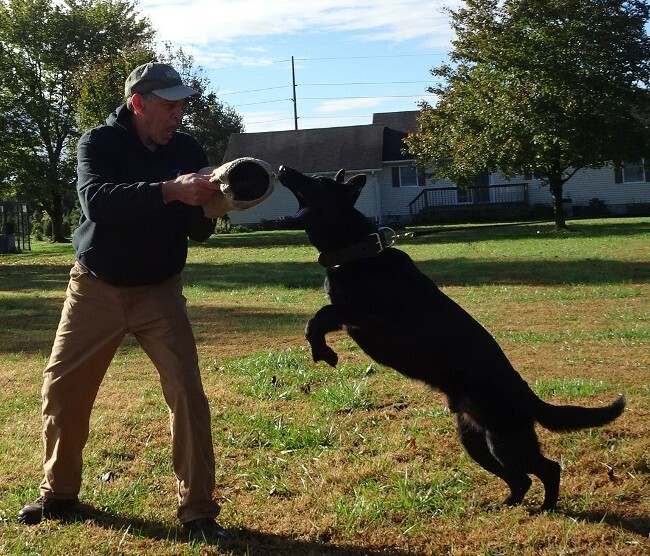 Training is something we take very seriously...Club founder, trainer, and AKC CGC Evaluator Howard Gaines III working with Dutch Shepherd, Tado. Looking for something unique for a community event this year? We offer K-9 Demos for many community events and organizations. It takes a few weeks to develop one for your event. Our K-9 Demo team can provide 30 and 45 minute scenario based action. We feature puppies and adult dogs. Obedience and protection work. Currently scheduling for the duration of this year. Call us to schedule your event! 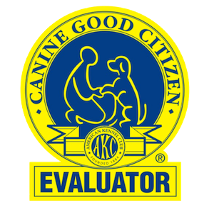 The DGSDC has two certified AKC-CGC Evaluators, Charlie Tanner III and Howard Gaines III. We feel that many of the elements found in the AKC-CGC are important to the foundation work of our club. Training and testing can be done for the AKC titles of: CGC, Trick Dog, Urban Dog, and Community Dog. We also can assess for the puppy S.T.A.R. certificate.